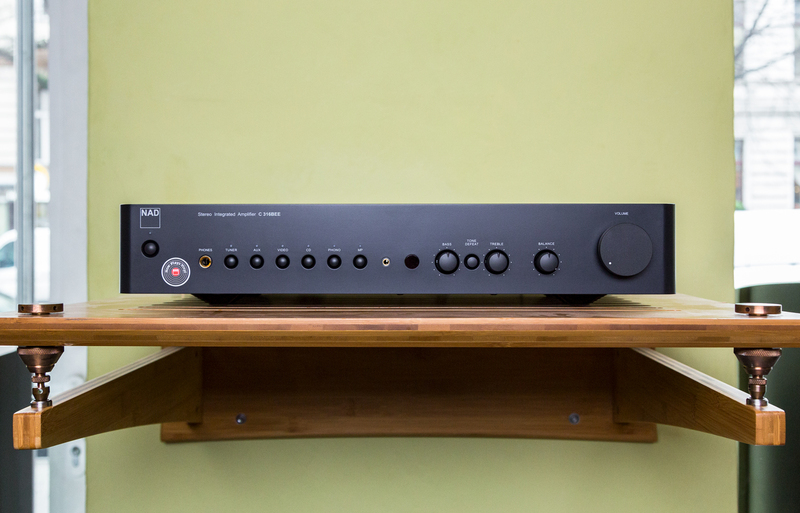 It would be an understatement to call NAD’s HiFi series a mere entry-level model. Behind the devices stand tradition and knowledge and they are ideally suited to build a stereo system. 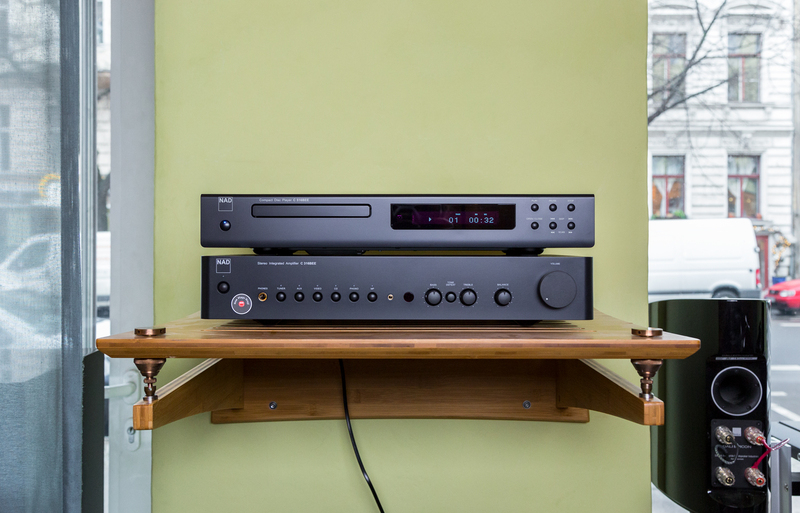 The system consists of the integrated amplifier C 316 V2, the CD player C 516 BEE as well as the turntable C 558. Paired with loudspeakers, you then have a complete HiFi system that can above all be heard. Let’s take a closer look at the devices individually. C 316 V2. Characteristic of the phono connection is the circuitry, which ensures lowest distortion and noise values. For some, the name C 316 may be familiar. That’s because NAD has already created an award-winning integrated amplifier with this name (and the ending BEE). 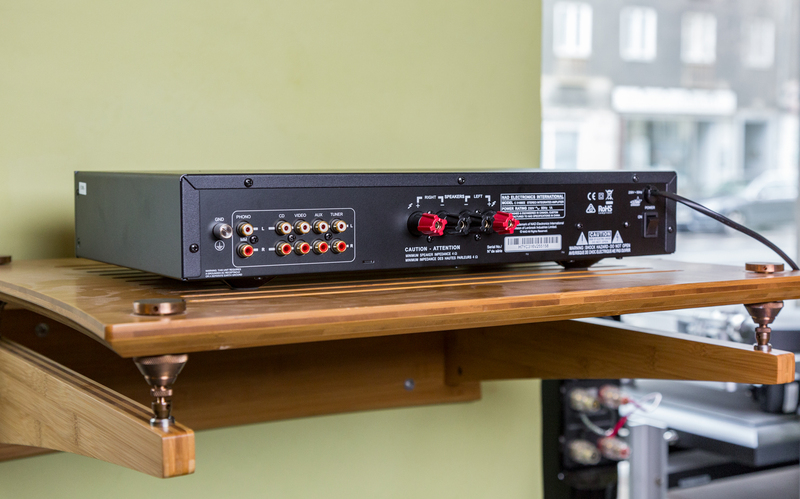 On the device itself, the old name can still be understood, but in combination with the RIAA MM phono connection, the integrated amplifier is now revived as C 316 V2.Characteristic of the phono connection is the circuitry, which ensures lowest distortion and noise values. The integrated amplifier includes a toroidal transformer, low-ESR electrolytic capacitors and high-performance transformers. All this ensures that the C 316 V2 on the sound level completely convinced. The sound is distortion-free, detailed, relaxed and with the right speaker the full potential is unfolded. 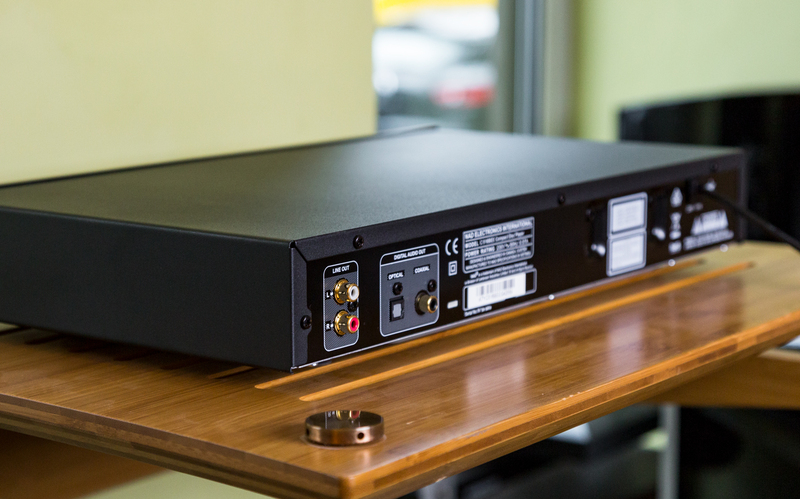 The C 316 V2 has a total of six RCA inputs, a pair of loudspeaker terminals and a 3.5 mm headphone port on the front. In addition, the amplifier, of course, has a remote control. 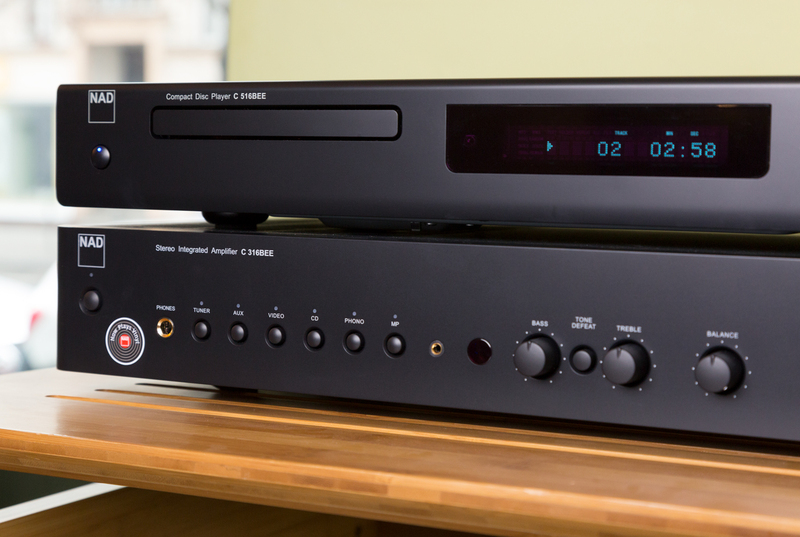 An ideal complement to the integrated amplifier is the CD player C 516BEE. At the sonic level, the player is particularly strong and in his design, it transports the same clear line as the C 316 V2. Playable on the C 516BEE audio CDs, but also with WMA and mp3 contents. Even CD-R and CD-RW can be played. A blue glowing VF display (vacuum fluorescence) provides information about the contents. The player has a 24-bit / 192 kHz D / A converter. Via analogue RCA outputs or with the help of a coaxial or an optical digital output the signal forwarding takes place. Of course, the CD player has a remote control. By the way: The ending BEE is the abbreviation of the name of the chief developer Björn Erik Edvardsen. The latter optimized the components that provide the outstanding, dynamic sound. 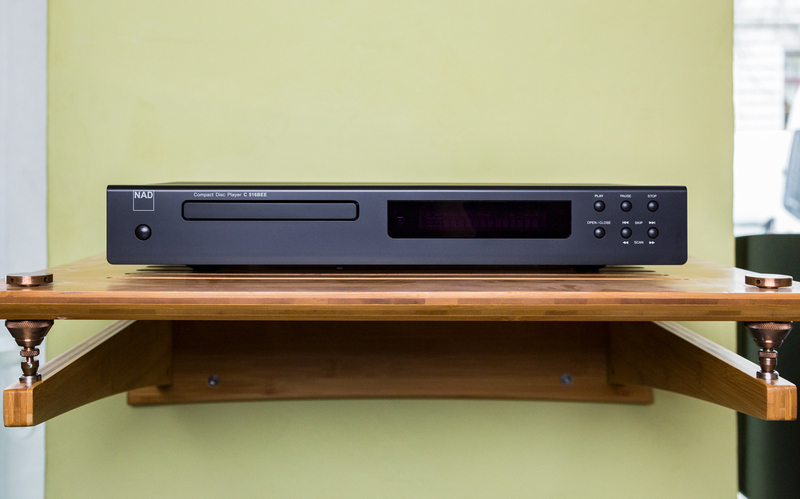 And so the C 516BEE shines with a pleasant mid-tone resolution, balanced high tones and a well-formed bass. Especially record players are currently on everyone’s lips. 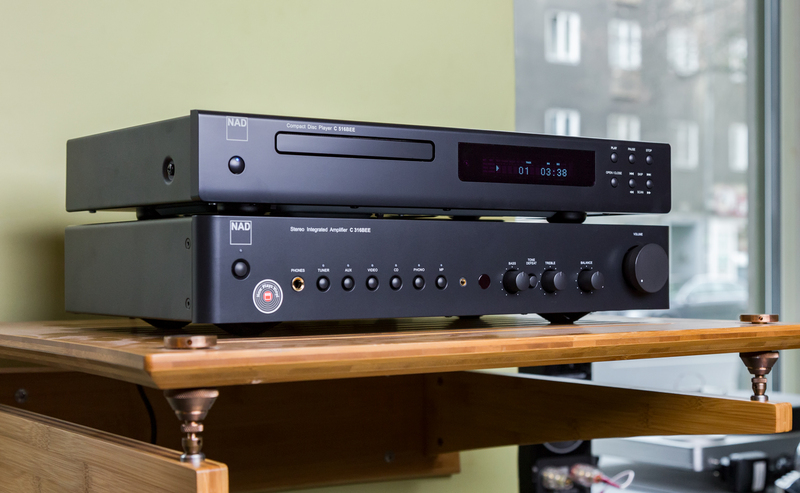 With the C 558, NAD jumps on the vinyl train and waits with a model that excites with excellent sound. This is achieved by high-quality components, which together create a minimalist turntable. The sophisticated design can also be found in the 9 “long tonearm. As the azimuth and contact force are adjusted, the turntable keeps the wear as low as possible and offers high flexibility.In spite of minimalism, the C 558 comes with a cover made of low-resonance, heavy acrylic at the same place, that the chassis was made of high-quality CNC manufactured MDF. So that the valuable notes are not distorted by vibrations, the turntable has a low-resonance sub-plate, which is driven by the engine via a particularly flat rubber belt. Through the smoothness achieved, the plate enjoyment is nothing in the way. The C 558 convinces with a wide sound pattern. Who puts together the right components in a music system, will be rewarded with an excellent sound. This motto is followed by the individual devices from NAD. They carry both the classic virtues of the British and a considerable sound. Spatiality sounds plastic and accurate, and the timbres look just as natural. We invite you to listen to Our HiFi Studios!